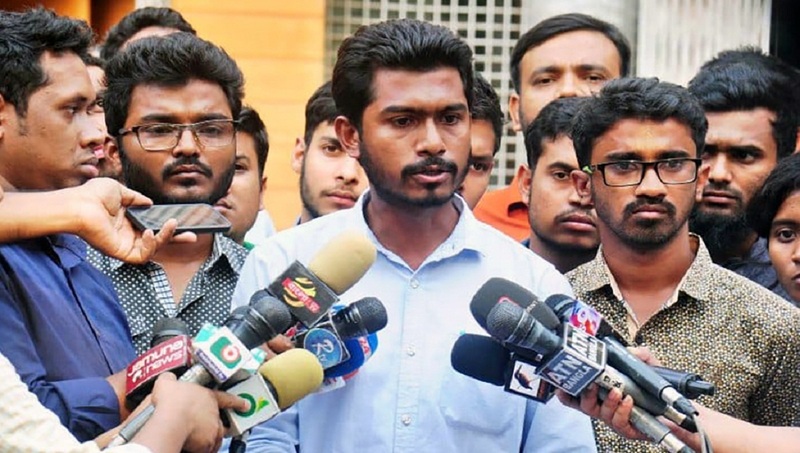 Dhaka, Mar 22 : Quota reformist leader Nurul Haq Nur, who won the Dhaka University Central Students’ Union vice-president post in what he called an ‘unfair’ election, now says he will take office. “The election was not fair. We concur with the panels demanding re-election and will continue demonstration for fresh polls,” he told a press conference at Madhur Canteen on the university campus on Friday afternoon. “Dhaka University authorities failed to hold free and fair election,” Nur said, adding that he was joining Ducsu “prioritising the students’ demands”. Akhter Hossen, who won the social service affairs secretary post from Nur’s panel, will also join the students’ body. “We’ll officially take charge as Ducsu representatives and work together with general students for solving various problems,” the Ducsu VP-elect said. The Ducsu polls, the first in 28 years, were marred by allegations of irregularities. All panels, except that of Bangladesh Chhatra League, boycotted the election. The ruling party student front dominated the polls but lost the posts of VP and social service affairs secretary.